Very early on in our relationship, Mina made it pretty clear to me that football Sunday’s and Superbowl’s were no joke. Although I’m not an avid football watcher, I knew what I was getting myself in to and I accepted it. 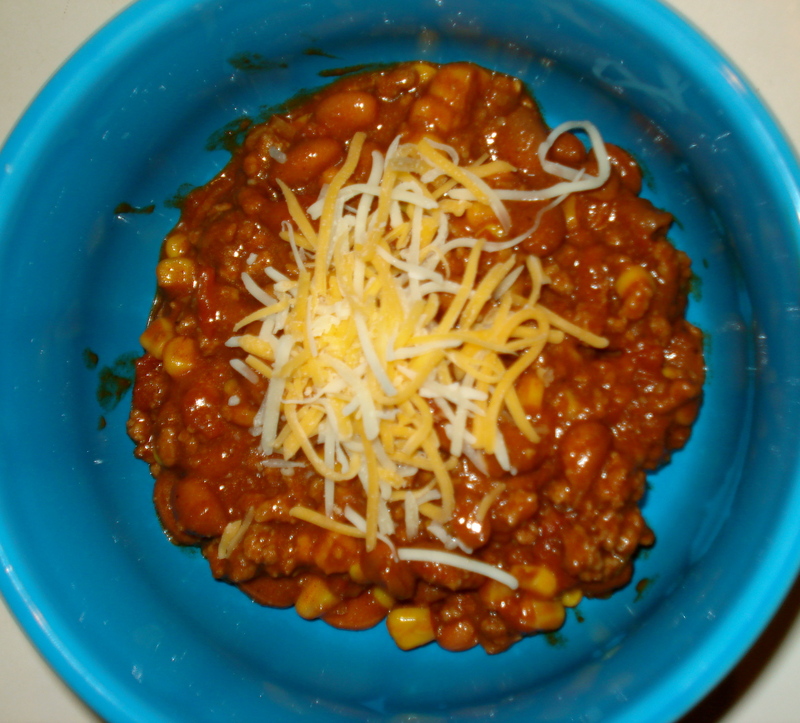 Soon after we got married I started experimenting with different chili recipes and I eventually came up with a recipe that we both love. 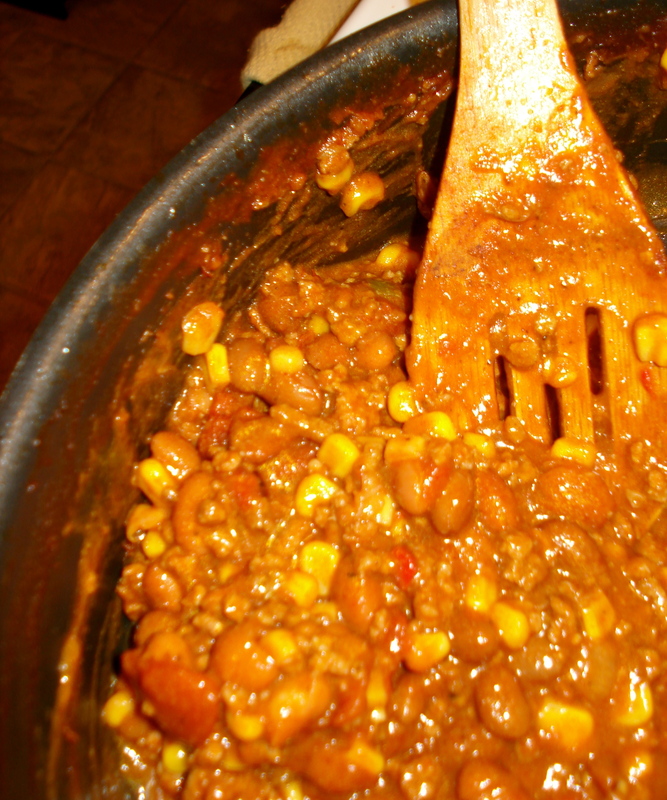 It’s now become a tradition that once football season starts, so does chili-making season! What’s better than chili, beer, and football all at the same time? 1. Heat olive oil in pan. Add garlic and onion. Once golden colored, add ground beef. 2. Once ground beef is cooked, drain excess fat. Now add ALL other ingredients. Bring to boil. 3. Lower heat and allow to simmer for 2 hours for best flavors. Add crackers, beer and football and you can’t really ask for a better day of the week. Great post! Now if I only liked football…. Hey, it’s Shawn. Thanks for making the chili for the cookoff. It’s DELICIOUS!!! !